Shares of Vodafone Idea hit a new low of Rs 28.30, down 4 per cent, in intra-day trade on Wednesday, falling 14 per cent in four days on the BSE, ahead of rights issue. The stock fell below its previous low of Rs 28.80 touched on February 6, 2019 in intra-day trade. The telecom services provider has fixed April 2, 2019 as the record date for the purpose of determining the shareholders who will be eligible to apply for the rights issue. The stock will turn ex-rights on Friday, March 29. The board of directors of Vodafone Idea had approved Rs 25,000-crore rights issue on March 20. The company shareholders would be able to buy 87 shares for every 38 held for an issue price of Rs 12.50 a share. The rights issue is open on April 10, 2019 and closes on April 24, 2019. “Unlike Bharti’s fundraise, which will help it to deleverage the balance sheet significantly, Vodafone Idea’s estimated annual capex requirement and interest burden of over Rs 20,000 crore in FY21 may not be fulfilled even with an optimistic Ebitda (earnings before interest, tax, depreciation and amortization) of Rs 12,600 crore,” according to analysts at Motilal Oswal Securities. Thus, without an ARPU (average revenue per user) increase, it may need another round of fund-raise to survive. 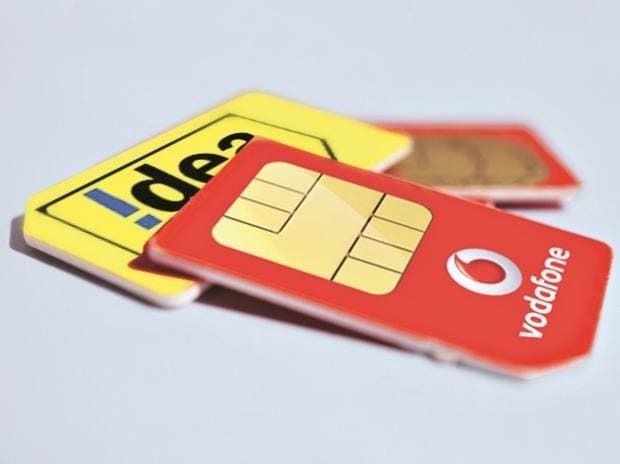 This highlights Vodafone Idea’s desperate need for ARPU accretion over the next two years to survive without incremental funding, which could be seen as an advantage by competitors, the brokerage firm said in sector update. According to analysts at JP Morgan, this event provides welcome relief but does not fundamentally change our investment view. The rights issue, together with the monetization of Idea’s stake in Indus, provides Vodafone some ammunition to fight on for two years without severely crimping its capex/investment needs. “We estimate the cumulative operating cash flow drain over the next nine quarters, through end-FY21, at around Rs 30,000 crore, which the rights issue (Rs 25,000 crore) and Idea’s stake sale in Indus (Rs 5,000 crore) just about fully offset”, it said. The brokerage firm maintains “Underweight’ rating on Vodafone Idea with a December-2019 price target of Rs 26. The price target is based on the implied equity value obtained by discounting free cash flows to the firm (excluding the impact of net debt and the proceeds from an equity raise from the total enterprise value) over an expanded share base from assumed new shares issuance, the brokerage firm said.